BCS Edinburgh Branch programme: 01/08/12 - Agile revolution or an agile evolution? A talk about Kanban and change. Agile revolution or an agile evolution? A talk about Kanban and change. Wednesday 1st August 2012, 6:30 pm. Have you ever tried and failed to make an organisation Agile? Or, have been part of an Agile change that has failed? Maybe you have met with too much resistance to even get off the ground. Have you ever wondered why? What if, instead of looking to make one large revolutionary change and become Agile, you created a culture of continuous improvement and, while drawing from the Agile toolkit, you evolved towards the agility and predictability your business requires? In this talk I'll give an introduction to the Kanban method. I'll show how it is designed to help in the evolutionary change of your software development system and how it encourages a culture of continuous improvement. Chris McDermott is a Lean and Agile leader, coach and developer. Currently working with BSkyB leading a team whilst helping others with their adoption of Lean and Agile practices. 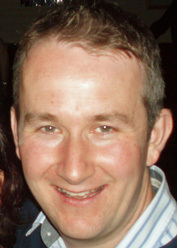 In his 11 year career Chris has worked in the public sector, investment banking, after sales and now media industries. Since reading Kent Becks Extreme Programming Explained in 2003 he has been passionate about Agile development. After discovering the Lean Kanban movement Chris has become increasingly interested the Toyota Production System, Deming, Systems Thinking and, with that, the Rightshifting of organisations. Chris is also the organiser of the Lean Agile Scotland conference and the co-organiser of the Lean Agile Glasgow meet up group.